It’s been too long since we caught our breath and sent you an update! 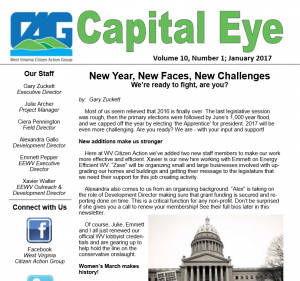 Keep reading for a post-legislative session overview with links (in bold) to more in depth articles you may want to read. We leapt straight from the tough legislative session, including an extended budget battle, into several other state and national fights. Our crew rarely misses a beat in their efforts to bring justice and sanity to public policy. Our crew includes YOU, of course, since you citizens are a big part of the ‘action’ in Citizen Action! One action that is critical to keep us going is your membership renewal. Please log in at www.wvcag.org/membership/ or make a tax-deductible donation to our educational branch at www.wvcaef.org/donation-info/. Thanks in advance! Since the disastrous election last November, a revitalized movement has taken shape, with both newly minted activists emerging and old timers wading back into the fray. 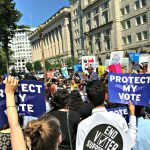 With your help, we thwarted several attacks on democracy during the legislative session, and are continuing to work with our allies to oppose voter suppression efforts like Trump’s “voter fraud” commission and protect your voting rights against unjustified purges of the voter rolls. We have also been keeping super busy networking with the new Woman’s Huddles, Indivisible groups, and other groups working on climate change and local elections. We haven’t seen this kind of mass movement building since the widespread Peace protests during the Vietnam War. It is the challenge of our time to work with other progressives in weaving together a strong, unified force to take back our state and nation. Are you with us? 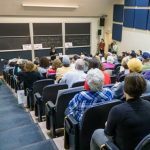 There are many ways you can plug in and make a difference including attending the upcoming WV Grassroots Summit! FirstEnergy, a regional electric conglomerate, is attempting another ‘bait & switch’ gambit in order to dump yet another used coal power plant onto WV ratepayers. They pulled this off several years ago with the Harrison Plant and now want to dump the Pleasants facility onto ratepayers. The PSC held the first of three public hearings in Parkersburg earlier this week, but there’s still time to show up and speak out against this bad deal. See Emmett’s article for details and actions to keep your electric rates from going up to pay for it. 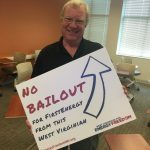 Earlier this year, our Energy Efficient West Virginia (EEWV) project joined with WV SUN to launch a coalition to oppose the transfer. 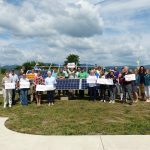 The two groups also collaborated to host the 2017 West Virginia Solar Congress. On the national scene, health care has been the number one fight as the House passed the heartless AHCA to ‘repeal’ Obamacare and replace it with a cruel joke that would strip as many as 185,000 West Virginians of coverage. Then the US Senate tried to push through its version of health deform and our junior senator, Shelley Capito, was one of just a handful who made noise to slow it down. In the end, Sen. Capito voted for the ‘skinny repeal’ that would have led to millions across the nation losing their health care. She voted with her party over the interests of West Virginians. Thank goodness for Sen McCain, Collins, and Murkowski – all Republicans who put people and principle over politics and voted no. I’ve lost count of the rallies, town halls, and actions at Congressional and Senate offices we’ve worked on with our allies. In June, Bernie Sanders joined our coalition’s rally in Charleston and then six health activists got arrested at a sit-in at Sen. Capito’s Charleston office. We helped pull off a 48- hour vigil there too. 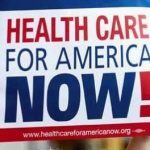 See here Valerie’s write up on our Wild, Wild West (Virginia) Health Care for All campaign. Unfortunately, the fight is far from over. This month, the federal budget will be used in another attempt to take away our health care and cut critical social programs like housing and SNAP (foodstamps). If you haven’t already, click here to send a letter to your member of congress today. 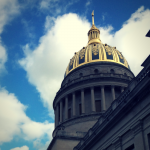 Tell them WV can’t accept a budget that puts medicine and food out of reach for kids, seniors and working families, all to give a massive tax break to millionaires and billionaires. 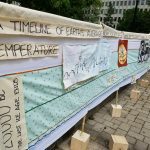 It seemed that the weather was sending us a message on that 90+ degree day in April when we co-hosted the Charleston Climate March. That didn’t deter folks from around the state from walking, biking, and busing in for an afternoon of solidarity with the People’s Climate March in DC. 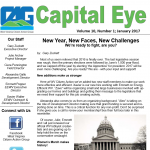 See more later in this newsletter. On a lighter note, we always take time out after the session to honor several outstanding individuals at our awards dinner in May. We had a full house at the Woman’s Club in Charleston and a good time was had by all who attended. 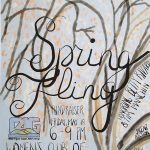 See Alex’s article on this fun and fundraiser — our annual Spring Fling! One last reminder, you are receiving this e-newsletter because you’ve been a supporter of our work. Please continue your support by renewing your membership at www.wvcag.org/membership/ or making a tax-deductible donation to our educational branch at www.wvcaef.org/donation-info/. The whole crew here at WV Citizen Action thanks you for your generosity! 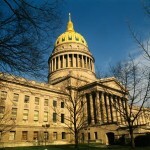 Have You Registered for the WV Grassroots Summit?